Healthy, long and wavy hair is a goal that most of the women dream to achieve. If you want your hair to look voluminous, and make it grow faster, but no remedy works out for your hair, then this article is for you. To achieve your ‘hair goals’ you might have tried plenty of things including special shampoos, high-quality conditioners, masks, and hair lotions. But have you ever paid attention to what nutritionists say about adequate hair growth? If you haven’t, read on to discover fast hair growth secrets that can miraculously accelerate hair growth. A change in eating habits is more effective for proper hair growth than trying out various shampoos and lotions. This is mainly because, in several cases, the food we consume can give our essential nutrients to resolve hair problems. The only trick is to identify those foods and learn how they can effectively accelerate the hair growth rate. According to Wikipedia, Salmon is a fish variety that has abundant omega-3 fatty acids in them. For those who are wondering what exactly is Omega-3, fret not, we’ve got your covered. It’s a nutrient that stimulates hair growth and strengthens the hair follicles. The consumption of O-3 fatty acids shortens the resting period of hair follicles, making them grow faster. Several scientific studies have proven that consumption of omega-3 fatty acids for regular 6 months can reactivate hair growth. Salmon fish is also rich in Iron and vitamin B12, which also aid hair growth. 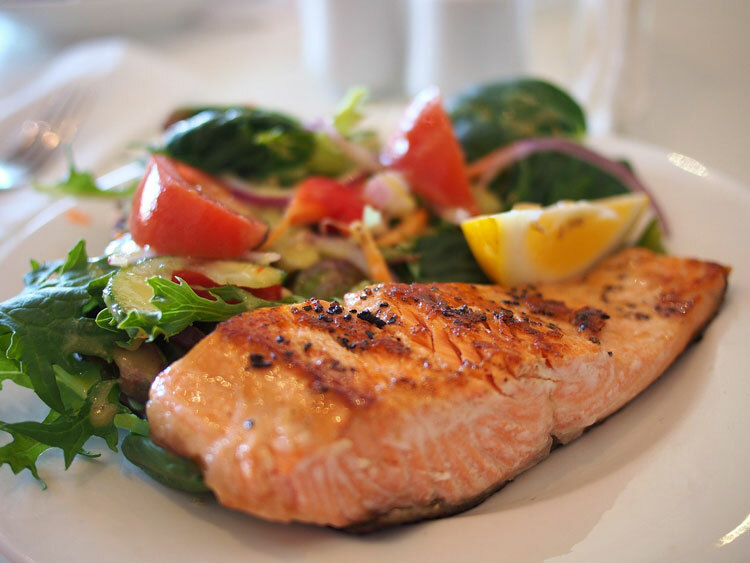 Including salmon in your diet is the best home remedy for hair growth and thickness. Chicken has a high amount of animal protein; an essential and fundamental nutrient for the production of keratin (the substance that makes 90% of the human hair). Deficiency of keratin suddenly stops the hair growth and making the existing ones fall out sooner. Consuming chicken and including it in your diet can increase the keratin level, and thus promote hair growth. 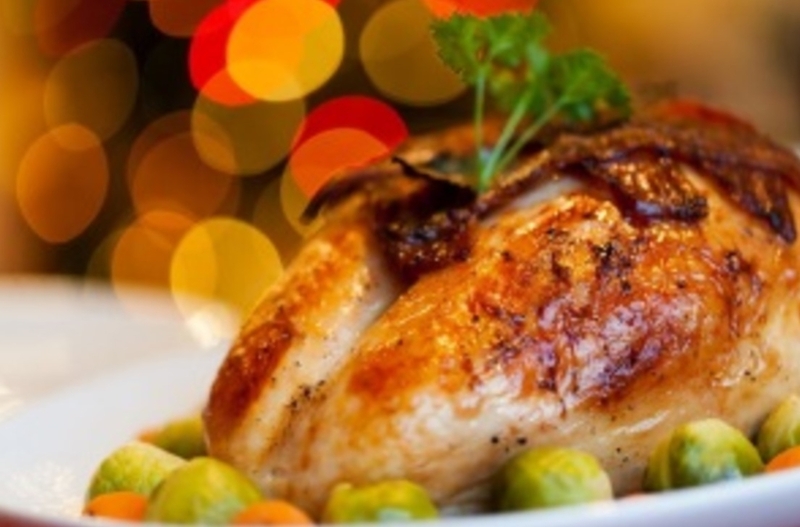 Turkey and rabbit are other meats that can help increase the animal protein intake in our body. Ever wondered by Almond oil is good for your hair growth? I guess, not. Almond is rich in vitamin E, which is an essential nutrient for activating and strengthening hair follicles. Almond oil is recommended by hair specialists and experts and because of the abundance of fatty acids and vitamins. How about directly consuming almonds instead of applying almond oils? 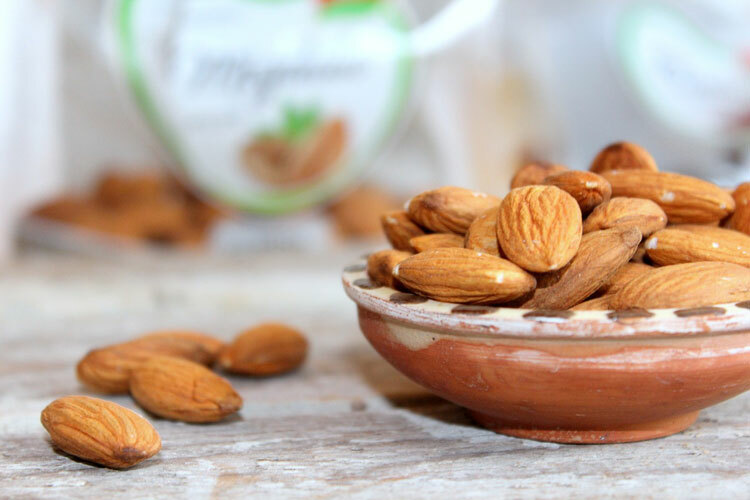 Studies have revealed that eating 20 almonds every morning is enough to provide 75% of the recommended value of Vitamin B and E, which makes it the best Indian home remedy for hair growth. 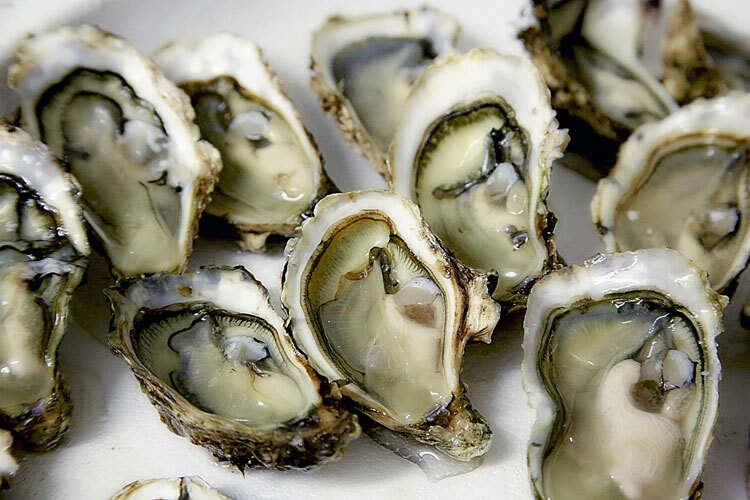 Oysters are the gold mine of Zinc, another important element that adds both volume and shine to hair. They aren’t just a delicacy, but also a great source of essential nutrients. They have zinc in abundant amount and that compensates the daily need of any other hair growth product. You cannot treat yourself with this delicacy every day, but eating one oyster a day is enough to get the required dose of mineral. If you can’t eat them every day then eating wheat, figs, beef, and pork are also great homemade tips for faster hair growth. 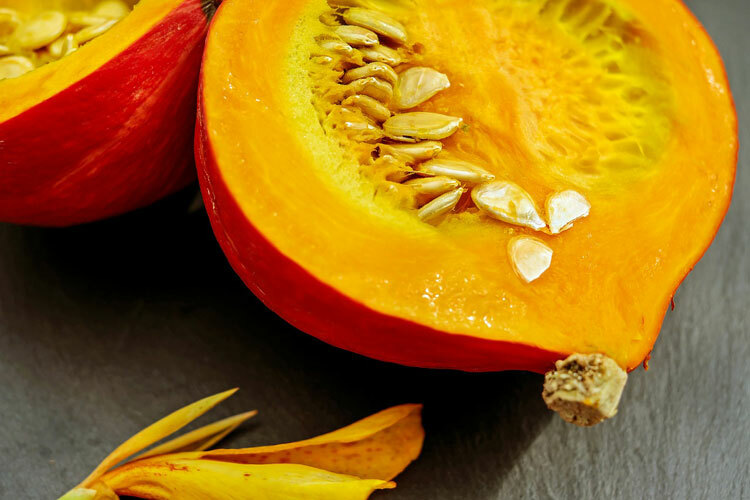 Foods that are rich in Vitamin B are great for strong and voluminous hair, and Pumpkin seeds have got the recommended value. Regular use of pumpkin oil does not only accelerate hair growth but also improve the appearance of your hair. To avoid hair loss, pumpkin oil is often recommended in the diet as it is the best natural hair growth remedies for black hair. According to the study, Pumpkin seeds contain vitamins B1, B2, B3, B4, providing scalp health, as well as B5 and B6, supporting hair growth and maintaining their natural shine. It also helps in dealing with the severe form of hair loss and problems like Alopecia. Beans are the record holder for the high amount of iron, one of the most important nutrients that support the growth of healthy hair. 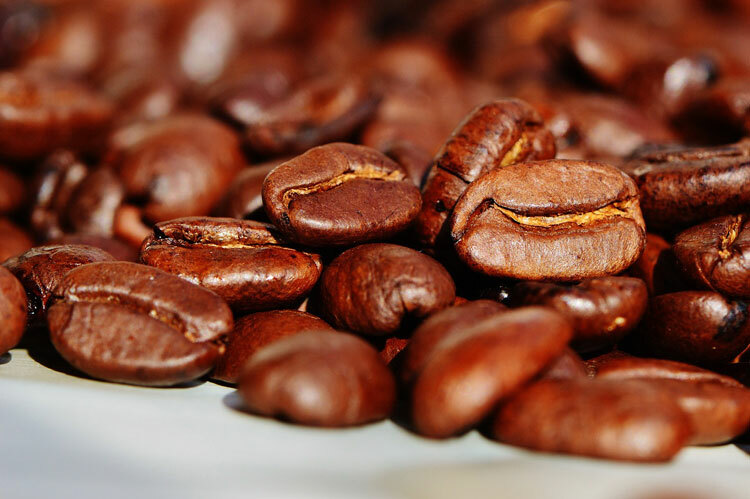 One pound of beans contain approximately twice of the recommended iron value in the human body. They are also rich in Choline and Zinc, making them important for regulating scalp’s blood circulation. Including a bowl of bean or lentils soup in your meals can be the best solution for those who want to know how to grow hair faster naturally in a week. Eggs contain all necessary nutrients and elements required for maintenance and growth of normal hair. They are rich in both protein and biotin that can effectively stop hair loss. Eating eggs regularly will make your hair stronger, grow faster and also add volume to it. 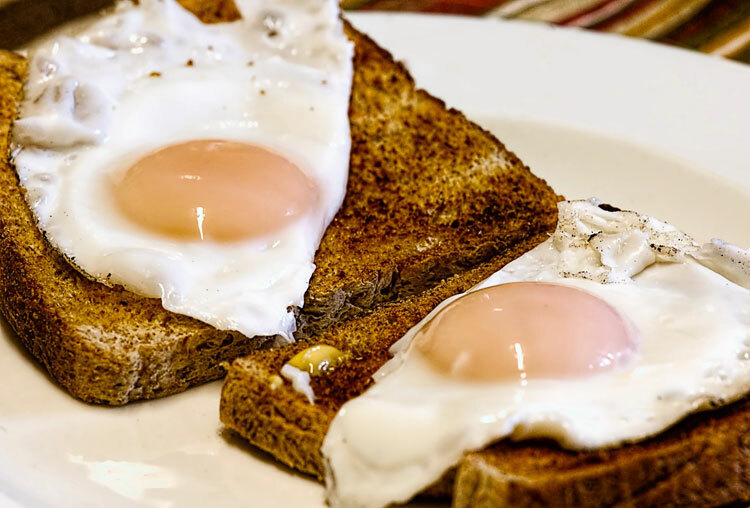 Apart from biotin and essential proteins, eggs also have leucine and other amino acids that promote hair growth. Just like there are certain foods that promote healthy hair and stimulate hair growth, there are few others that are a strict NO for those dealing with hair loss problems. 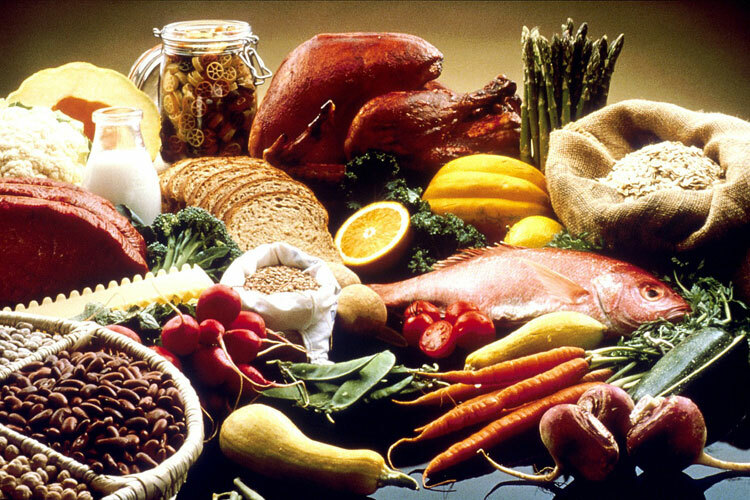 The foods you need to avoid would be the ones that have high amounts of carbohydrates, sugar and the foods that have been refined. Products like these can change hormone levels, cause bloating and increase the chances of fungal infections, which altogether stop the hair’s ability to grow. Excess intake of sugars is one of the biggest factors that results in breakage of hair follicles and increase hair loss. Sugar and carbs rich food disrupts hair growth and breaks the hair follicles when consumed regularly. You don’t have to eliminate all sugary foods from your diet, but just make sure that sugar consumption in your diet doesn’t exceed the recommended value. You just have to stick to any two or three of the recommended food items, control your cravings for unhealthy foods and consume the healthier alternatives to satisfy your hunger.